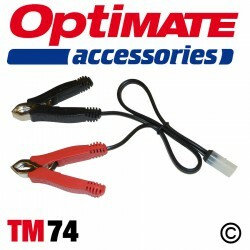 OptiMate 5 Voltmatic is the all-in-one tool for 6V & 12V battery care at home. 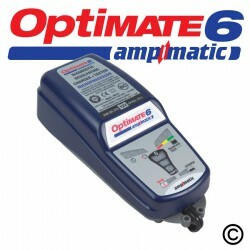 OptiMate 5 Voltmatic has all the fully automatic 100% safe and easy-to-use characteristics of the 1.5 million OptiMates produced since 1995, but adds a powerful 2.8 Amp output to take care of larger batteries. Forgot your battery throughout the winter? 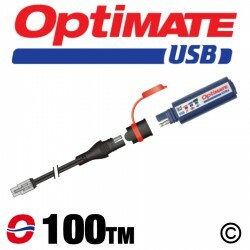 OptiMate 5 Voltmatic will recover it from deep discharge and optimally recharge it. Then it will check that the charge delivered is the best possible before checking how well the battery can retain the charge and tell you its status, at a glance. Of course, it will then maintain your battery at full charge safely for months at a time, prolonging its life by up to 400%. 1. 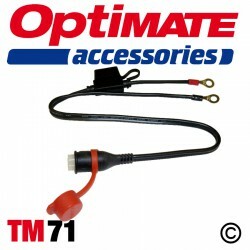 Safety check: OptiMate 5 Voltmatic must be connected to a battery (retaining minimum 2V) to activate its output. 2. Desulphation and recovery: if the battery's resistance is abnormally high due to sulphation, a higher voltage is automatically applied to overcome this so as to recover very flat or neglected batteries until they are able to accept the normal charge program. 3. Bulk charge: a constant current of 2.8A (4A in 6V mode) efficiently brings the battery close to full charge. 4. Charge: Pulse absorption, cell equalisation (balancing) and charge verification: Charging is delivered in controlled pulses that automatically equalise cell voltages, until the current has reduced below 400mA which is indicative of a battery that has reached full charge. 5. Charge retention test: when the monitored parameters confirm that an optimal charge has been achieved, the first check for battery (and connected system) power leakage commences. Depending on the voltage retained during 30 minutes, an "OK" (green LED) or "not OK" (red LED test result is displayed. These 30-minute test periods repeat hourly until the OptiMate 5 Voltmatic is disconnected, so that the battery status indication is continually updated. 6. Charge maintenance: during alternate 30 minute periods, the battery is offered charge current (up to the maximum) it needs to sustain it against any small connected loads or power leakage and against natural self-discharge. 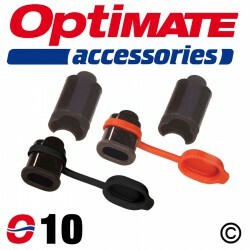 OptiMate 5 Voltmatic can stay connected to the battery indefinitely and the battery will stay cool and safe. And optimally charged. Of course. Diagnoses, recovers, charges, checks & maintains your battery automatically for months. All major battery manufacturers recommend maintaining starter batteries FULLY CHARGED during periods of non-use. 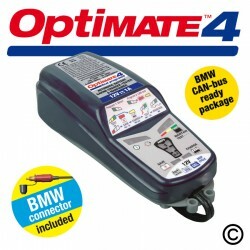 OptiMate 5 Voltmatic is totally safe for months-long connection and maintenance of irregularly or seasonally used batteries even while still connected to the vehicle. The sophisticated charging algorithm ensures no risk of over-charging. Suitable for all types of rechargeable 6V and 12V lead-acid batteries: filler cap types; absorbed glass mat (AGM or "MF"); valve regulated (VRLA); GEL-electrolyte. As simple as 1-2-3: Just connect OptiMate 5 Voltmatic to your battery, the rest is automatic. Electronically protected against user errors. There is no switch, no fuse and there are no sparks.